So, here’s the story… Most of the places we want to see, in general and for this trip in particular and for the trip we are planning for next summer, are all “out west.” They call it “out west” because it’s way out west from the east, which is where we live, which means to see the places we traveling to see, we have to drive and drive and drive before we even get started. I guess that’s perfectly obvious to anyone who has ever seen a map of the U.S., but the reality of that indisputable truth is that we are experiencing a kind of travel that is new to us: hit the road, drive for a while, walk the dogs, drive for a while, have lunch and walk the dogs, drive for a while, walk the dogs, drive for a while to a stopping place, walk the dogs, set up, have dinner, walk the dogs, and then go to bed. Repeat over and over again for days on end, and then start the vacation. And the stopping places are just that. Places to temporarily stop the aforementioned travel routine. So far, they’re basically just parking lots, cheek to jowl with RVs, with electrical and plumbing connections sticking up between the sites. In other words, these are definitely not the kinds of destination campgrounds we would travel to for the atmosphere they offer. One of our “stopping places.” This one happens to be in Nebraska City, NE, but it doesn’t matter. They’re all basically indistinguishable. So, this phase of the trip must be awful, right? Wrong. In fact, it’s compelling. Northern Alabama was beautiful; driving through Arkansas and Missouri gave us chances to watch crop dusters in action (certainly the last of a dying breed); southern Missouri is a surprisingly picturesque terrain of gentle rolling hills. Southaven, Mississippi, a suburb of Memphis, is the opposite of picturesque, unimaginable in its sprawling ugliness, crass consumerism, and endless traffic. And that was contrasted the next day by historical St. Charles, Missouri, with charming shops and restaurants, a huge Memorial Day party along with river, and the Lewis and Clark Boat House and Nature Center, a fine local museum marking the place where the Corps of Discovery assembled and began their trip “out west” (that term again, although going “out west” had a degree of reality to them that far exceeds what confronts us). 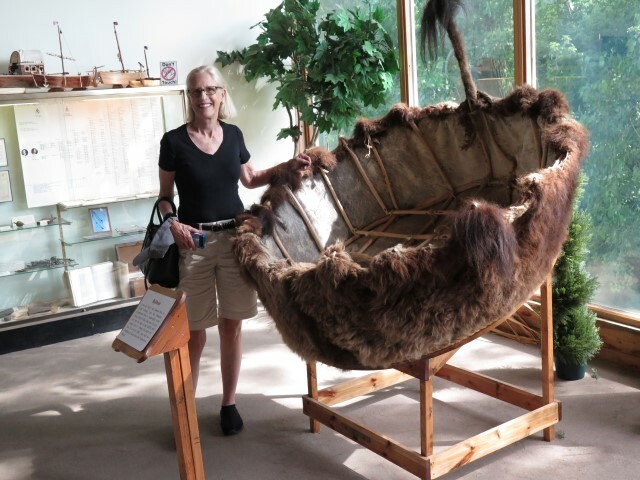 And traveling along, as we criss-cross the Lewis & Clark route, we’ve been listening to Undaunted Courage, which not only passes the miles, but it serves as a historical commentary to the area we’re traversing. And then there are places that are just weird. 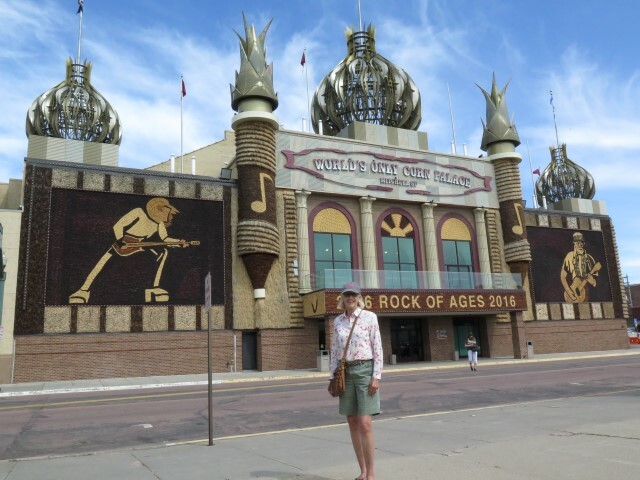 Like the world’s only “corn palace” in Mitchell, SD. 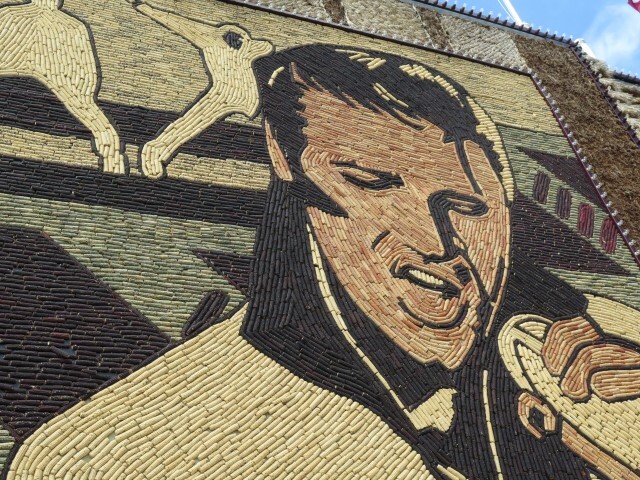 The “Corn Palace,” an auditorium decorated (and regularly redecorated) with “art work” done entirely in corn cobs. That it’s the only such facility in the world seems not so surprising. Each and every one of these experiences is, for reasons hard to capture, a memorable part of the trip, even if we weren’t enroute to the “real” end points. 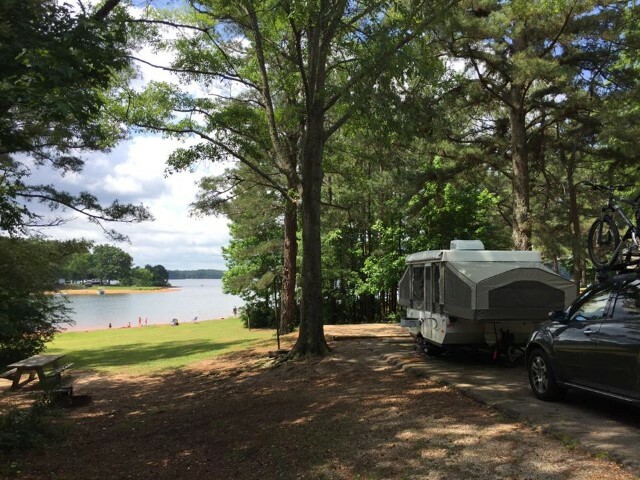 We’ve had the usual number of challenges, like we decided we didn’t trust the transmission pump for the toad and rented a U-Haul tow dolly for peace of mind. (For the non-cognoscenti, a “toad” is a vehicle that is “towed” behind a motorhome.) Nothing major so far and, as explained in the post describing the breakdowns on one Florida trip, for some reason a “challenge” on a road trip is utterly inconsequential. Especially so for a trip like this. So, after 1375 miles spread over 4-1/2 days of driving, tomorrow we head to the first destination worthy of that word, seeing as how the words “destination” and “destiny” share the same etymology: Badlands National Park. Further posts to follow. This entry was posted in Travels on May 31, 2016 by skiprd. The “Big Trip” starts tomorrow. Well, it sort of started last weekend with a small trip. 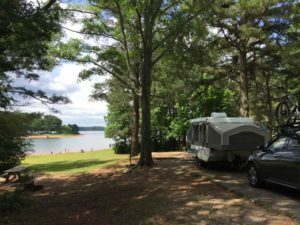 As we’ve done several times, we headed over to a Corps of Engineers campground, 5.1 miles away, for a weekend of camping with the Little Darlings. And once again, Cliff joined us with his pop-up. 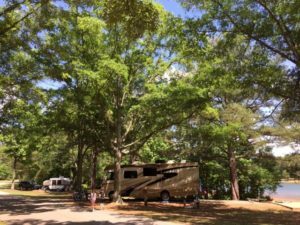 Jennifer’s photo album pretty much tells the story: West Point Lake Camping – 2016. 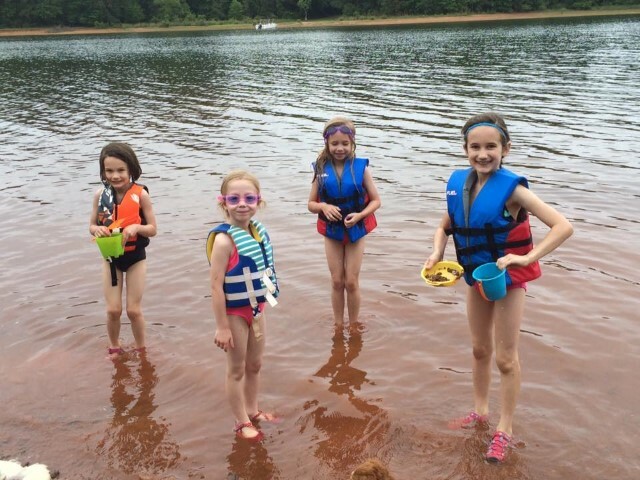 Someday, though, I’ll try to figure out why “The Cousins” (as they call themselves) think that the most enjoyable aspect of camping at the lake is digging “canals” along the shoreline (fitting, perhaps, since we’re at a Corps of Engineers campground? ), getting caked in mud in the process. Really? Canals? So, having said goodbye to the local family, we’re prepared to head out cross-country to see the other part of the family. 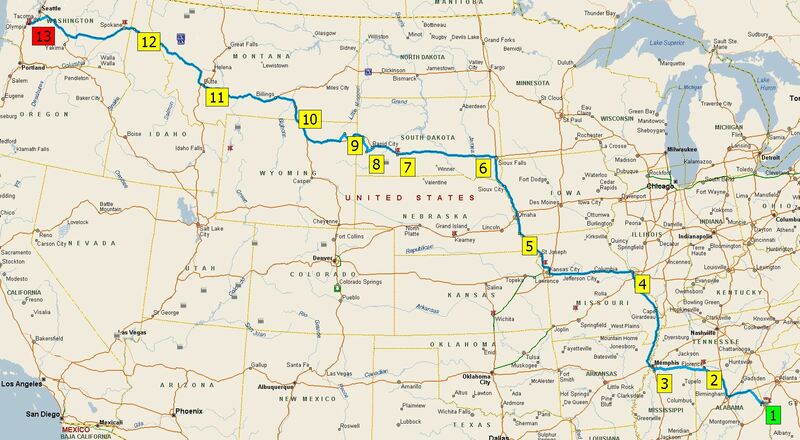 Outbound, it’s a sixteen-day trip, with stops including Badlands National Park (never been there), Mt. Rushmore (never been there either), Devils Tower, (ditto), and Little Big Horn (ditto again), before arriving for a three-week stay in Olympia, Washington. We’ve prepared ourselves for the trip by watching the Ken Burn series on the National Parks, reading Custer and Crazy Horse by Stephen Ambrose, loading Undaunted Courage into our audio player to listen to as we drive out, and reviewing and completing sixteen pages of checklists. Seriously. Eisenhower launched D-Day with fewer checklists and not half so much logistical preparation. And words can’t convey how excited we are about this trip. Sure, going out to see the new grandbaby is nice, but with eight grandchildren, I mean, who cares? I’m reminded of the Ogden Nash poem, written after the birth of a similar number of his own children: “Is it a girl, or is it the reverse? How should I know? 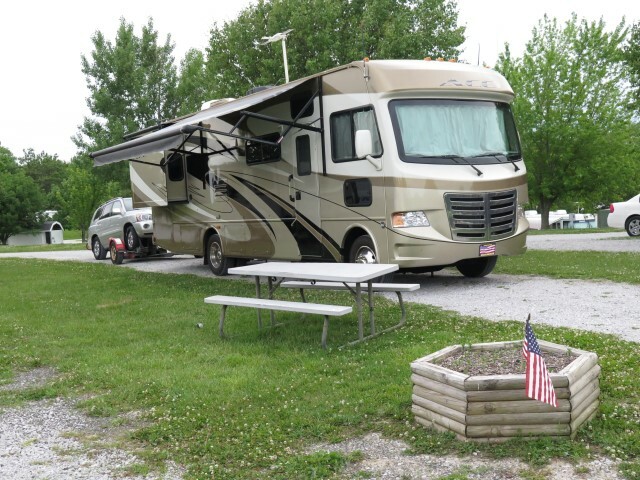 Call the hospital and ask the nurse.” But traveling around the country, seeing as much as we can of the places that are worth seeing, has been a dream of ours for nearly 44 years! It’s what kept us going through decades of a rewarding-but-demanding profession, the exigencies of twenty-five years of child-rearing, and the myriad episodes in the unfolding story of our family. So, further posts will follow once we complete the hurry-up-and-get-someplace-good phase of the outbound trip, sometime in the next week or so. This entry was posted in Travels on May 25, 2016 by skiprd.